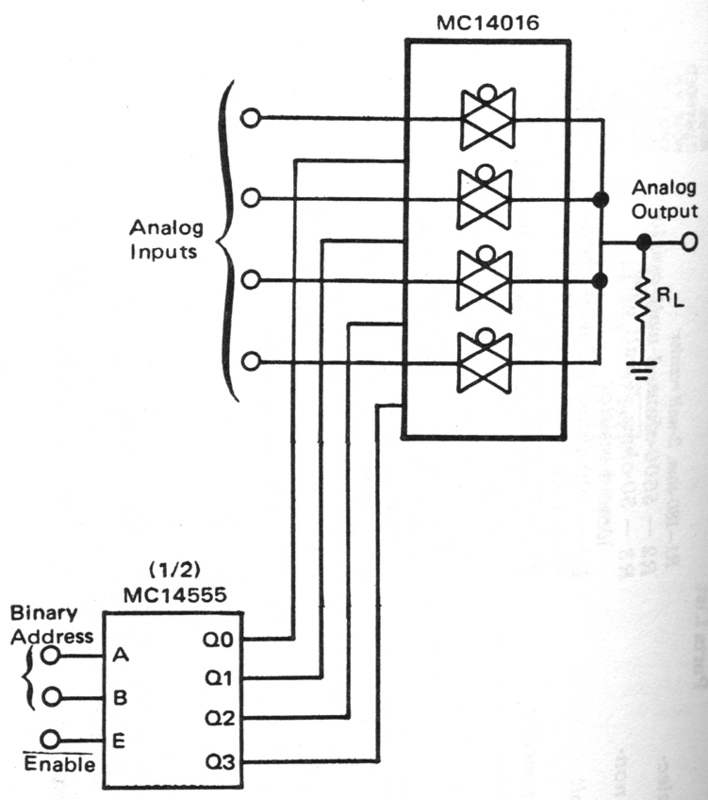 John Bischoff and Tim Perkis are pioneers of live computer music performance, dating back to their 1978 founding of the League of Automatic Music Composers - the first computer network band. They have worked with such artists and groups as Eugene Chadbourne, Roscoe Mitchell, the ROVA Saxophone Quartet, Leo Wadada Smith, the Splatter Trio and John Zorn. How to describe what Bischoff/Perkis do? Critics have tried: "[they] expand the boundaries of creative thought.... move electronic music decisively into the next millenium...create yet-unheard sonorities in a modern mood... makes the 'new complexity' sound like 'pop goes the weasel'..."
Graviton is a new piece that investigates sonic evolution within the context of massive synthetic sound. Half of the performer controls apply to the smallest details of sonic change, the other half to whether sounds are on or off. Working with these two extremes the performer constructs sonic action in real time. The title refers to a hypothetical subatomic particle thought to be the quantum of gravitational interaction. Interlude is derived from test runs of an automatic piano score generator adapted for electronic output. Immaterial States follows the formal trajectory of a slow rise and fall of a sound file processed in real time. The sound file is a 10 second recording of whispered text. Looping portions of the whispered sound are scanned in motoric slow motion, gradually tracing the spectral contour of the original recording. Pure tone clusters linked to this process glide first in parallel and then in contrary motion. As the clusters descend and internal motion slows down, an underlying framework of chordal relations echoes at the end. The piece attempts to create a continually moving focal point around which disparate contours ebb and flow. Butcher is one of the most accomplished saxophonists working from a "post-Parker" [Evan, not Charlie!] 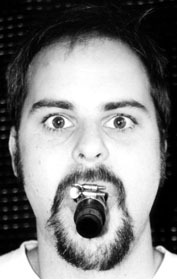 perspective, and has been a major player in the London improvised and new music scene for the past two decades. Butcher's music ranges from free improvisation to structured compositions for instruments with/without tape. Butcher's saxophone playing is marked by heavy use of multiphonics and extended techniques. With a background in physics [he holds a doctorate specializing in the theoretical properties of charmed quarks], he brings to the saxophone a manner more of a "tone scientist" than a jazz musician. He has isolated and clarified these techniques in order to allow them to become the music rather than serve as a vehicle for the music. Solo concerts have long been a particular interest for Butcher, and tonight's concert will be no exception. Please join us in this rare opportunity to hear John Butcher's only solo appearance for his 2001 bay area visit! Bhreus Kormo, a CD compilation of experimental music whose profits will be donated to the Howard Brown Health Center's Cancer Quality of Life Study. This study is the first to compare social factors between lesbian and heterosexual women with breast cancer. One of the primary critiques of past breast cancer research concerning lesbians is that the differences and similarities between lesbians and heterosexual women have not been compared. Many don't know that lesbians have a higher risk for developing breast cancer when compared with heterosexual women-even when there are no differences in family history, in having mammograms, or in personal cancer history. Therefore, lesbian participants of this study will be compared with a heterosexual counterpart with similar demographics, such as age and race. This comparison will help to assess whether the quality of care that lesbians are reporting is due to their sexual orientation or other factors. The goals of the study include (1) better understanding how the availability of social support following a cancer diagnosis affects quality of life, coping, and overall adjustment; (2) providing concrete, detailed information about how to improve health care services and resources for lesbians at Howard Brown Health Center and other health and mental care centers; (3) studying the psychological and social issues that lesbians face when diagnosed with breast cancer; (4) contributing to both the improvement of cancer-related services for lesbians and the scientific literature on factors affecting the quality of life of lesbians with cancer; (5) conducting research in related areas and increase collaboration between health researchers and community-based groups that work in the area of lesbian health; (6) utilizing information gathered from this study to assist established Chicago community-based services with long traditions of providing services to lesbians with cancer. join us to hear dozens of the Bay Area's best-known practitioners of adventurous, improvised, non-standard music. We will have plenty of charcoal on hand, so bring a slab of meat [or meat-like products], or any other items for yourself or others to consume while listening to some damn-fine music! Gburek, a self-taught guitarist for 26 years, holds a Bachelor of Arts degree in Poetics from the New College of California and has studied various literatures and ethnomusicology. He studied classical Javanese gamelan with Pak Suhardi in Yogyakarta and has been strongly influenced by Indian music, microtonalists, experimental improvisors and freedom jazz. 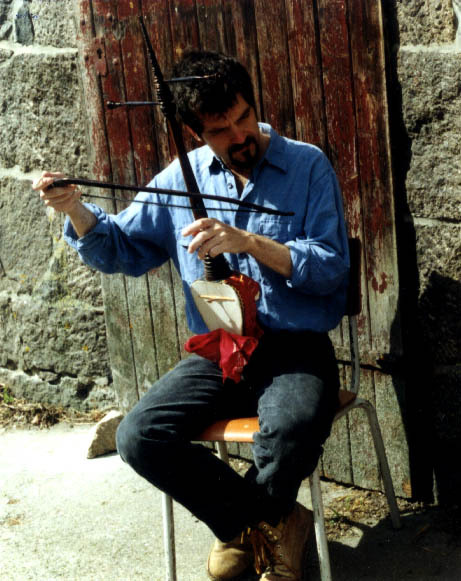 His composition for two microtonal guitars and micro-incremental movement, "Aint Observin Increments", premiered at Ballhaus Naunynstrasse, Berlin in March, 2000. Last year he did concerts as guitarist, violinist and rebab player throughout Germany with Konrad Bauer, Joachim Gies, Michael Vorfeldt, Michael Walz, Joe Williamson, Panik Musik and his free jazz trio ON. He toured Djalma last September along with Neel Murgai, Chris Forsyth and Rich Gross. In New York he has performed alongside Toshi Makihara, Daniel Carter and Graham Haynes. He composed/ performed the music for Djalma"s performance of Null Achtzehn in Italy, Germany and Poland. He continues to modify his gamelan set-up with diverse preparations and integrates disintegrated circuitry sounds into his performances. 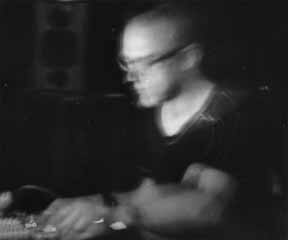 will present an AN AVANT-SHAMANISTIC MULTI-INSTRUMENTAL SOLO IMPROVISATION. Instrumentation will include Javanese gamelan, rhaita (Moroccan double-reed instrument), Mexican Indian violin, flutes, and tenor saxophone. 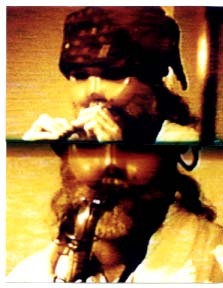 In this solo presentation, Henry applies in concentrated form "avant-shamanic" concepts he has developed over many years both on his own and with the group OPEYE.. Henry notes: "The alertness demanded by the free improvisation process shifts one's state of being into a place not unlike that described in various accounts of trance, dream or shamanic reality. The inherently creative and explorative aspects of free improvisation -- the manner in which it seeks to alter, realign, and reconfigure cultural paradigms -- place it on a path that is parallel to that of the shaman. Yet while the shaman seeks to restore individuals who are out of cultural sorts to harmony with their surroundings, the avant-shamanic free improvisor does not so much seek to restore connections with a particular culture, but to find and experience One's True Self /Our True Selves in the midst of a culture/world cultures that are in many ways lacking in wholeness." 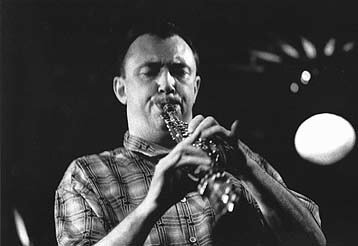 Kuntz has been intimately involved in free jazz and free improvisation for more than 25 years. From 1973 to 1979, he was editor and publisher of the internationally-acclaimed newsletter-review BELLS. He first recorded on tenor saxophone in 1977 on Henry Kaiser's Ice Death (Parachute 005). He has played musette and various flutes since 1981, miniature violins since 1983, gamelans and xylophones since 1988. On Humming Bird Records, he has released 2 LPs, 16 cassettes, and 3 CDs of solo, group, and multi-tracked free improvisations. In 1986, he co-founded the "avant-shamanic trance jazz" group, Opeye. He has traveled extensively (over 20 years) to Mexico, Central and South America, Asia, Indonesia, and North Africa recording, studying, and drawing upon aspects of music, ritual, dance, and performance -- from which 5 ethnographic cassettes have also been produced. Henry's recently released solo tenor saxophone music, One One & One (Humming Bird CDs 2&3), has been critically acclaimed in various publications, including Jazz Journal International, Cadence, One Final Note, Musings , and New Creative Music. 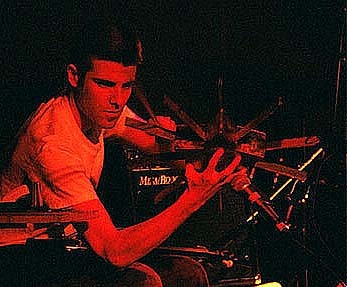 Kahn was originally a drummer / percussionist but later began integrating sampling into his playing, at first with hardware sampling units; later using the computer and live sampling software. Kahn was a guest of STEIM (Studio for Electro Instrumental Music) in Amsterdam, working there on combining STEIM's interactive sampling program LiSa with live drumming. Over several trips to Japan Kahn has performed with Otomo Yoshihide, Sachiko M, Taku Sugimoto, Tetuzi Akiyama, Utah Kawasaki, Uchihashi Kazuhisa and Koji Asano. 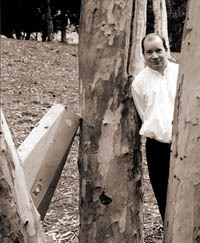 In 1997 Kahn formed the project "Repeat" with no-input mixing board player Toshimaru Nakamura. Repeat has toured both Japan and Europe several times as well as releasing three CD's to critical acclaim. 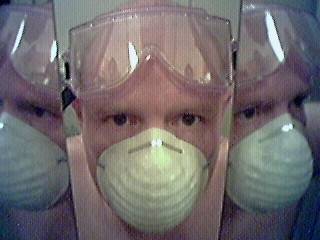 Kahn currently lives in Z�rich, where he curates a series of concerts for new improvised and electronic music, "sonique serie". He started the cut label in 1996, releasing to date five CD's. As a solo artist, Bill's improvised, prepared guitar work is informed by Hans Reichel, Fred Frith, and Henry Kaiser, but shows a unique style and personality. He has received critical praise internationally from The Wire and Alternative Press. His performances have been paired with musicians such as Bobby Previte, Wayne Horvitz, Cul de Sac, and Subarachnoid Space. 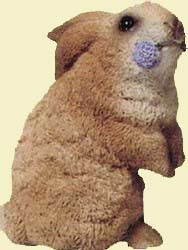 In May 1998, Bill toured the United States in support of his CD SOYLENT RADIO. Funding from Meet The Composer, Inc. is provided with the support of National Endowment for the Arts, ASCAP, and Virgil Thomson Foundation.